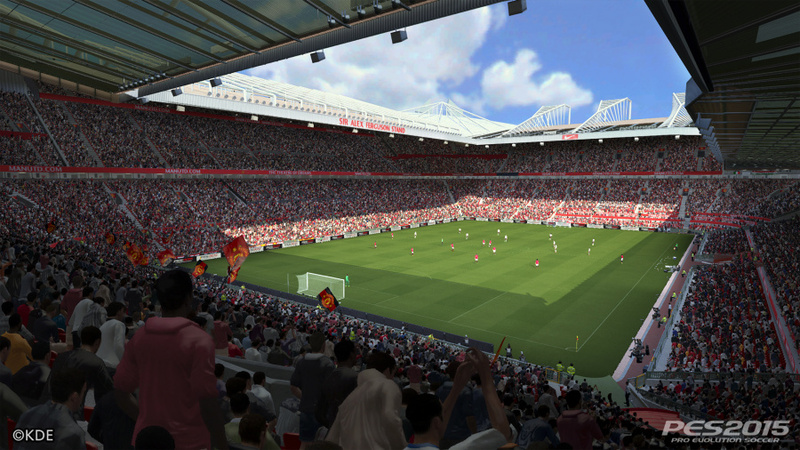 With last year’s PES 2014: Pro Evolution Soccer opting to skip the PlayStation 4, Konami has had an extra year to consider its next-gen debut. 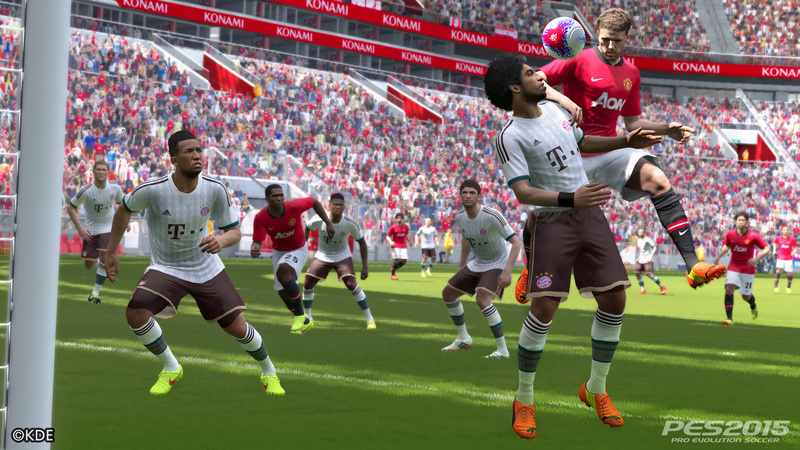 Against the much more popular FIFA, PES has tended to trail slightly behind EA Sports’ juggernaut in recent years, catering to a much smaller section of the footballing market with its less accessible adaptation of the beautiful game. However, the Japanese company has been quietly catching up in recent times – but is this year’s edition good enough to turn the tides? 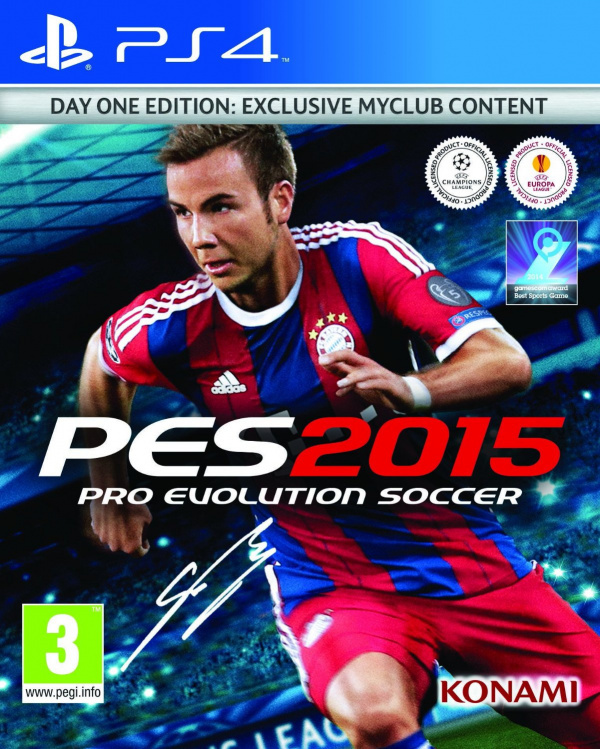 PES 2015: Pro Evolution Soccer is a very different beast to FIFA 15. Sprinting needs to be used sparingly, as getting past players is not a straightforward affair, while tackling needs to be restrained and selective in order to avoid the referee from showering you with cards. Most importantly, scoring is hard work, but it feels all the more gratifying for it – and, consequentially, tense when the seconds are ticking away and you need to score before the whistle blows. In short: patience is essential. When attacking, your passing needs to be accurate and crisp, as you poke for openings in your opponent’s defence, waiting for their impatience to commit them to foolish tackles or other mistakes. Try running with the ball and battling your way through alone and you’ll be dispossessed and harshly punished – and the same is true in defence, where you need to keep your backline well organised so that you’re pushing your rivals back without allowing any gaps to emerge. You could say that it’s a little like the real thing. This is further complemented by the title’s presentation. Player likenesses have reached an impressive level of detail – even if there’s still plenty of uncanny valley – but it’s the animations that really sell the look. There’s a definite heft to each player that hasn’t been present in previous editions, making turning seem more realistic, tackles more impactful, and the overall ball feel weightier. This is especially noticeable when you’re jostling with a defender, as you’re slowed to a crawl and forced to turn back and rethink your attacking approach with a different player. It’s just a shame that, in spite of these achievements, shooting can feel a bit stiff, with players tending to break from their runs and slip into shooting mode with a weird blend of animations. At least the stadium atmosphere doesn’t succumb to such shortcomings. Crowds go wild for shots scored or missed with appropriate gusto, while refereeing decisions are cheered and booed. Unfortunately, commentators Jim Beglin and John Champion run out of script quickly, which can draw you out of the moment – and similarly, the lack of FIFA licensing yet again impedes the authenticity. Indeed, with the wrong stadiums, player names, kits, and team names, this can feel a bit low budget at points – but this is obviously the result of behind-the-scenes bureaucracy rather than something that the developer’s done wrong. There is at least full licensing for the UEFA Champions League and Europa Cup competitions, as well as the Asian Champions League and some foreign leagues such as La Liga. If we’ve any other complaint to level at the title it’s that while the animations give the whole thing an authentic glean, there’s a visual crispness to the release that actually ends up hurting it. Without any real depth of field and a glossy coat to everything, it all looks a bit artificial – and that prevents it from truly replicating the real thing. As for content, there are the usual cups and leagues to participate in, as well as MyClub, which is essentially an alternative to FIFA Ultimate Team. Instead of packs of cards that represent players, you’ll instead purchase agents to sign a specified star based upon the criteria that you give them. Better agents will naturally net you better players, and it’s up to you to compete for GP Points, which will allow you to purchase all sorts of extras to lead your team to glory. Meanwhile, the online game is stable, but feels a little antiquated with the implementation of lobbies rather than matchmaking options. Inaccurate player counts will often lead to you refreshing the list of openings over and over trying to find an empty slot, which is a massive hassle when you just want to play. Once you’re on the pitch, at least the game runs smoothly, but a lot more work has to be done in this area before PES can truly topple FIFA for the console soccer crown. 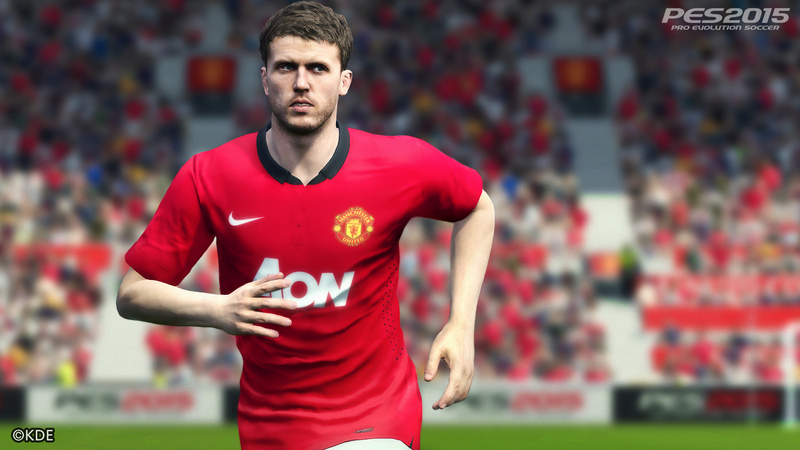 PES 2015: Pro Evolution Soccer is yet another step in the right direction for Konami – even if it’s again let down by its lack of licensing and complicated online options. Its simulation play is better than ever, and it leads to much more satisfying victories than in EA Sports’ alternative. There’s room for polish and improvement, of course – but this is still a great game. I love this game. But people who play online, there's other teams other than Real Madrid! The amount of times I play against them and people just keep lumping it to Ronaldo. Other than that it's just as good as fifa. I got fifa15 and now I refuse to purchase this one. Konami will never learn. Dont release your game over a month after fifa comes out. I admit I have always been a PES fan. 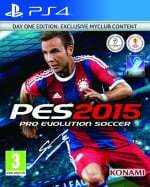 I have played ALL versions of PES so far. It always pains me that they don't have the resources available that EA has. Other than the licensing and Konami's bad menu presentation I do think that after all these years PES is finally the better football game again. 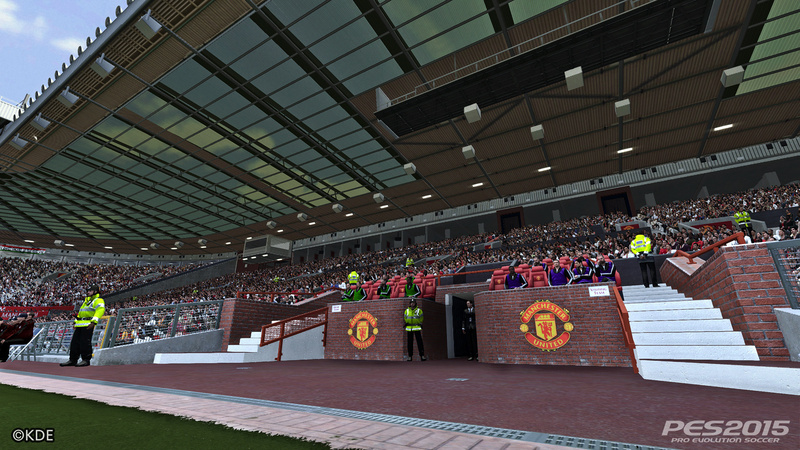 The movements, the difficulty, the football experience overall has all improved a lot. Last year's version was pretty bad and I think they should have waited with implementing an unfinished game engine. This year it does work like a charm. Last years version was bad but this is magnificent. In single-player or local multiplayer (haven't played online) this is comfortably the best football game around.